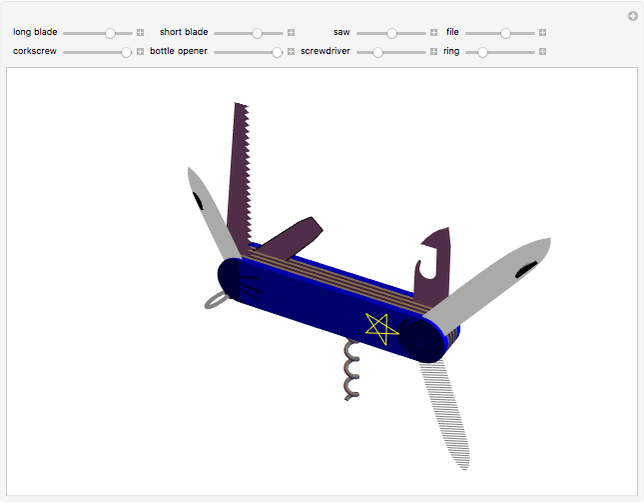 The Demonstration shows a minimalist version of a multipurpose pocket tool, similar to the iconic Swiss Army Knife. More elaborate models can have as many as 20 tools. Wikipedia. "Swiss Army Knife." (May 15, 2013) en.wikipedia.org/wiki/Swiss_Army_knife. 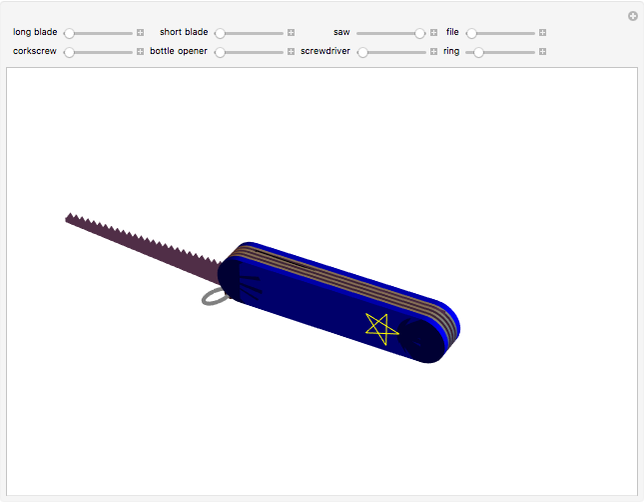 S. M. Blinder "Multipurpose Tool"